IT'S ALL ABOUT YOU, NOT ME! In today's challenging real estate market in Boca Raton, Delray Beach and Highland Beach Florida, selecting the right South Florida Realtor is crucial to you finding the perfect home or selling yours for the best price. Yes it's all about "Location, Location, Location!" Buying or selling a home or condo in Boca Raton, Delray Beach and Highland Beach is a special process that you should entrust to an experienced real estate agent. My name is Lynne Gewant. I am a former New Yorker, Snow Bird and have been a resident of Highland Beach, Boca Raton and Delray Beach Florida for thirty years. I bring extensive personal and professional knowledge of the real estate market to your table. I am certain my level of understanding and grass roots knowledge of South Palm Beach County Florida will save you time and money buying you dream home or condo. Or, if you are selling your condominium or home, I can find you a buyer faster and get you a better sale price than any other realtor. Whether you are selling or buying in Boca Raton, Delray Beach or Highland Beach, I will make your transition a positive experience and will work for you like nobody else can. Let My Experience and Knowledge of Boca Raton, Delray Beach and Highland Beach Condo's. Homes and Country Club's work for you! Experience does matter, so why not go with the best! 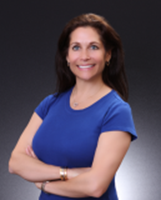 I have been a licensed Real Estate Agent in the Boca Raton-Delray Beach-Highland Beach area for fourteen years. I have purchased and sold oceanfront condo's, country club homes and luxury estates in Palm Beach County to the extent I am a member of Coldwell Banker's Top 1% Realtors nationwide. 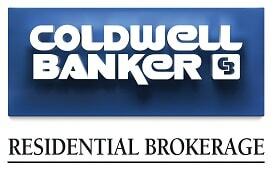 In case you are unfamiliar with Coldwell Banker Residential Brokerage, we are one of the largest and most reputable residential brokerage companies in the world. My long term tenure with "Coldwell" in Boca Raton, Delray and Highland Beach positions me to provide you with the very best personalized service, thorough knowledge of all condominiums, residential buildings and gated communities. I provide astute representation and credibility which guarantees you everything needed to successfully transact real estate in Boca Raton, Delray Beach and Highland Beach, Palm Beach County Florida. I love working for Coldwell Banker on the ocean in Boca Raton and specialize helping people buy and sell lavish condominiums, luxury homes and Country Clubs anywhere in Highland Beach, Delray Beach and Boca Raton! You will find my office conveniently located in Boca Raton and is only minutes away from Delray Beach and Highland Beach. Through my association with Coldwell Banker and my intimate firsthand knowledge of valuations, trends and locations I am backed and equipped to provide you with professional representation and unlimited resources and will make your transition, purchase or sale smooth and easy. I provide every type of real estate service imaginable and offer you under one roof, all the convenience of a "one-stop" shop. With my “one-stop” shop offer and personal service, I and my associates are qualified, licensed, experienced and motivated to inform you of all the variables and challenges ahead. The good news is, whatever you may be presented with, I will have the answers and the abilities to address them immediately. I have been to every residential community in Boca Raton, Delray Beach and Highland Beach and have personal knowledge of all areas. I am a local and have been a Highland Beach and Boca Raton resident and real estate investor. There is NO other licensed realtor (with a Statewide Brokers License) that has more knowledge and personal experiences with buying and selling real estate in Boca Raton, Delray Beach and Highland Beach, Florida. With the assistance of the largest and most reputable company and all its resources, I provide the very best personalized, confidential and secure real estate services in South Florida. I am known for selling and buying luxury condos, buying and selling magnificent estates, buying and selling county club homes and have a reputation in Boca Raton Delray Beach and Highland Beach for having the best record of dependability in Palm Beach County. Experience does matter and so does knowledge and common sense. If you are seeking a local realtor in Boca Raton, Delray Beach and or Highland Beach with extensive experience please contact me. I offer FREE, no obligation consultations, and assessments, by appointment only, and would be happy to discuss your needs and address your questions! Selling a home is dependent on many factors. Whatever your reasons are for selling, I have the knowledge, resources and technological support to expose your home to the most qualified buyers worldwide. When you list your home with me, your residence will be presented comprehensively on the worldwide web, have numerous professional pictures as well as a virtual tour for perspective buyers to see. Your home will be strategically placed on over 350 web sites, exposed to over 20 million buyers via the internet, and translated into numerous languages in over 50 countries on every continent 365 days a year 24 hours a day! In addition, I will personally have a website built just for your home! I stress the importance of exposure on the internet as more than 90% of all real estate transaction start on the internet. After all, if you are reading this, you are here and so are many others; every hour of everyday. Your dream home or amazing holiday or vacation property awaits you! When you contact me to assist you with buying a condominium, county club estate, single family home or luxury residence, I'll take the time to listen to your all your needs. I will share with you all of my first-hand knowledge of each and every building or community and share with you as much information as I can. What I may not know, I can easily find out. I will make buying a property in Boca Raton, Delray Beach or Highland Beach an easy process for you, as I am fully experienced and licensed to provide you with professional opinions, professional comparative analysis, market trend and spot on advice! Give me a day or two and I will change your life. Spend a few days or more with me and I will find you the perfect condo, luxury estate, lavish residence or wonderful single family home in Boca Raton, Delray Beach or Highland Beach. All real estate services, contracts, offers, evaluations, pro formas, dealings, conversations and information shared with me will be held strictly confidential. I am a Proud Professional with Several Licenses and have extensive continuing education accreditations. Certified Negotiations Expert (CNE). Agents who receive this certification are in the top 1% of all agents nationally. Modern Day Website Marketing Management Expertise. Continuing Education and experience is paramount in the real estate business. I am constantly searching for ways to increase my knowledge for both my Sellers and Buyers and even recently became a Statewide Broker to increase my abilities and knowledge to better represent you. I know the Boca Raton, Delray Beach and Highland Beach Real Estate Market Better than Anyone You Will Meet. Why Boca Raton, Delray Beach and Highland Beach Real Estate? My positive perspective of Boca Raton, Delray Beach and Highland Beach is influenced by some of the most beautiful and exclusive beach's in the world. Many of the luxury condos, exclusive residential communities, luxury homes and magnificent country club communities in the world are in South Palm Beach County. Most locations in highland beach, Delray Beach and Boca Raton are only a few minutes from the beach and beautiful places of interest. For people who are not beach goers and enjoy poolside communities, they are everywhere! Boca Raton, Delray Beach and Highland Beach have more pools and private beaches than most towns anywhere in the State of Florida. Boca Raton and Delray Beach have wonderful shopping, parks and walking areas and are known for fabulous events, restaurants and places of interest. For those of you want a low key private life style, Highland Beach is for you. Highland Beach does NOT have any commercial locations (except for one) and is an oceanfront and intracoastal town consisting or luxury buildings, exclusive homes, single family homes and ultra-fantastic waterside villas and flats. Boca Raton is situated in the Southern most area of Palm Beach County Florida and offers A+ rated schools! "Boca" as most locals call it, is a neighboring town to Delray Beach which boarders Boca Raton to the North. Delray Beach is a neighboring town to Highland Beach which boarders Highland beach to its South and offers wonderful cultural and social experiences. Highland Beach boarders Delray Beach which is to its South and is a beautiful low key ocean side communities without traffic and has a low population density. Highland Beach is centrally located in Palm Beach County and is the eastern most town in South Palm Beach County. Actually, Boca Raton, Delray Beach and Highland Beach are so closely situated most brag about how they can be at any location within minutes of each other. All communities and buildings in Boca Raton, Delray Beach and Highland Beach are within minutes of all shopping, restaurants, places of interest, lakes, parks, schools, libraries, hospitals, museums, places of worship and the ocean. To speak with me about Boca Raton, Delray Beach and or Highland Beach Real Estate call me at, Direct Phone: 561-322-0495 or Office Phone: 561-395-2233. You can also email me at ok@bocadelrayhighland.com I look forward to communicating with you soon! Free, no obligation consultations are my pleasure and can be offered by appointment only.